A novel legal strategy aims to "pull up the corporate curtain of protection that these people hide behind." Their family name graces some of the nation’s most prestigious bastions of culture and learning — the Sackler Center for Arts Education at the Guggenheim Museum, the Sackler Lefcourt Center for Child Development in Manhattan and the Sackler Institute for Developmental Psychobiology at Columbia University, to name a few. Now the Sackler name is front and center in a lawsuit accusing the family and the company they own and run, Purdue Pharma, of helping to fuel the deadly opioid crisis that has killed thousands of Americans. Massachusetts Attorney General Maura Healey took the unusual step of naming eight members of the Sackler family this week in an 80-page complaint that accused Purdue Pharma of spinning a “web of illegal deceit” to boost profits. While prosecutors in more than a dozen other states hit hard by the opioid epidemic have sued Purdue Pharma, Healey is the first to name individual Sackler family members, along with eight company executives. Filed on behalf of 670 Massachusetts residents who were prescribed OxyContin, became addicted to opioids and later died, the suit alleges that Purdue deceived doctors and patients about the risks, pushed prescribers to keep patients on the drugs and aggressively targeted veterans and the elderly. The civil suit doesn't name a dollar figure, but Healey asked a judge to order the Sacklers and Purdue to "pay full and complete restitution to every person who has suffered any ascertainable loss by reason of their unlawful conduct." Mike Moore, the former Mississippi attorney general who took down Big Tobacco two decades ago and is now going after Big Pharma, called Healey's move "a brilliant legal strategy." "It pulls up the corporate curtain of protection that these people hide behind," Moore said in an email to NBC News. "The Sacklers personally made billions of dollars while tens of thousands of overdose deaths were occurring as a direct result of their lies about the addictiveness and effectiveness of OxyContin, the drug they created and marketed. Just as these folks like to be honored when they write big checks to museums and have their names inscribed on plaques for their contributions to so many causes, they should be held accountable for how they made that money in the first place." Juliet Sorensen, a former federal prosecutor in Chicago who is now a professor at Northwestern University's Pritzker School of Law, said that the Sacklers are known for their philanthropy — "not for being the driving force behind the opioid epidemic through which they gained their billions." "The Sacklers' collective silence signals a lack of remorse for their role in the opioid epidemic," she said in an email. "The complaint is a form of exposure." "If the Sacklers were not actually defendants that were sued, but rather named and discussed in the body of the complaint, that would be naming and shaming but without legal consequences," she said. "In this case, however, they are named as defendants, so the naming and shaming 'pitiless publicity' effect comes along with potential legal liability." The Sacklers named in the complaint include Beverly and Theresa, the widows of brothers Raymond and Mortimer Sackler, who turned the Stamford, Connecticut-based company into a pharmaceutical giant. Also named are three of Mortimer’s seven children, Ilene, Kathe and Mortimer David Alfons Sackler; Raymond’s sons Jonathan and Richard; and Raymond's grandson David Sackler. When asked if any of the Sacklers would comment on being named, Purdue Pharma spokesman Bob Josephson stated in an email, "Not at this time." Purdue Pharma denied the allegations in the lawsuit, saying it was "disappointed" that, amid negotiations with other states that have sued, Massachusetts "decided to pursue a costly and protracted litigation process." "We will continue to work collaboratively with the states towards bringing meaningful solutions,” the company said. Among other things, Purdue Pharma ordered its sales reps in February to cease promoting opioids to physicians. Mississippi was the first state to sue Purdue Pharma and the other big pharmaceutical companies, and the state's attorney general, Jim Hood, said he approved of the message Massachusetts is sending. "No individual should be above the law and allowed to hide behind corporate protections to shield them from personal responsibility," Hood said via a spokeswoman. "That includes the Sackler family. Mississippi applauds the efforts of Massachusetts in joining our efforts and seeking accountability wherever it lies." In Ohio, the second state to go after the drug companies, including Purdue Pharma, Dan Tierney, a spokesman for Attorney General Mike DeWine, said individual Sackler family members "would certainly be covered" by the state's action. Arthur was inducted into the Medical Advertising Hall of Fame after his death, but he has also been criticized for originating "most of the questionable practices that propelled the pharmaceutical industry into the scourge it is today," as Allen Frances, the former chair of psychiatry at Duke University School of Medicine, told the New Yorker last year. Arthur's family has made a point of noting that he was not involved in the sale of OxyContin and would prefer him to be remembered for his philanthropy, including funding the Arthur M. Sackler Gallery of Chinese Stone Sculpture at The Metropolitan Museum in Manhattan and the Arthur M. Sackler Museum at Harvard University. "None of the charitable donations made by Arthur prior to his death, nor that I made on his behalf after his death, were funded by the production, distribution or sale of OxyContin or other revenue from Purdue Pharma," his widow, Jillian Sackler, said in a February statement. "Period." The board met on a weekly — sometimes daily — basis while the company was being investigated by 26 states and the Justice Department from 2001 to 2007, according to the lawsuit. 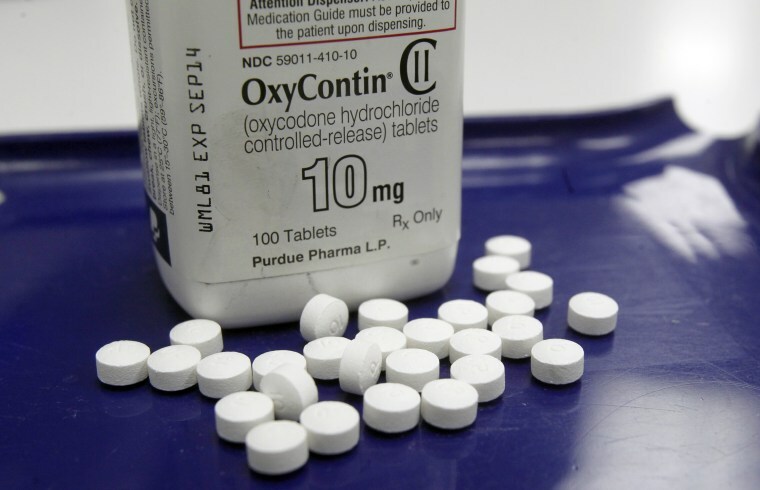 In 2007, the board settled and agreed to pay a $700 million fine after the company's CEO at the time, Michael Friedman, and two other high-ranking company officials pleaded guilty to misleading doctors and patients about opioids. Then in 2015, Purdue Pharma agreed to pay $24 million to settle a lawsuit filed by Kentucky. But its chief ingredient is oxycodone, a cousin of heroin. And prosecutors say Purdue played down the dangers of addiction while getting hundreds of thousands of Americans hooked on opioids.